We have two whitening options for brighter teeth! The fastest way to makeover your smile! Professional teeth whitening for Baton Rouge smiles effectively removes stains and yellowing from your teeth, leaving you with whiter teeth and a younger-looking smile. Many people would love to makeover their smile, but don’t have the time or budget for extensive cosmetic dentistry. Teeth whitening is the fast, inexpensive, and easy way to have a smile you will feel more confident about sharing with the world. Kidder Dental offers two whitening options – in-office or take-home. We often recommend doing a combination of both options for the best results! How does the whitening process work? We start by making impressions of your teeth to create your custom-fitted whitening trays. Custom-fitted trays work better than over-the-counter ones because they are created specifically for your unique smile. They hug your teeth better and are crafted for a comfortable fit. After making sure the gums, cheeks, and lips are protected, we start application of the whitening gel. We apply the gel in multiple steps to take advantage of its most active phase. Typically, two to three treatments achieve the best results. After the procedure is finished, the at-home whitening trays are created and sent home along with syringes filled with whitening gel. Depending on your sensitivity and your goals, we have three different strengths of professional whitening gel so we can minimize sensitivity, but also maximize results. After two to three weeks of whitening at home, your smile will be four to six shades whiter. Special Offer: Get a FREE Round of Whitening Gel When You Begin Invisalign® Treatment. Make an appointment for a consultation today and claim your special offer! Why Will You Love Teeth Whitening? Here are a few of the benefits you'll enjoy with teeth whitening in Baton Rouge. Teeth whitening is one of the most affordable ways to makeover your smile. We have an option that will fit your budget and get you the smile upgrade you want. There isn’t a faster way to make a dramatic difference in the appearance of your smile. Professional whitening offers fabulous results in just a few hours. Our whitening services are supervised by a dental professional and customized to your needs. Protect your smile by leaving the whitening to us! Why Choose Kidder Dental for Your Teeth Whitening Treatment? Because we feel it really is all about you! At our Baton Rouge dental office, we take a comprehensive approach to dentistry. It’s not just about your smile; it’s about YOU. Helping to craft the smile you envision and achieve the result you want is our goal. Doing it the right way, the most conservative way that protects and maintains your health, is our mantra. Our Baton Rouge dentists provide cosmetic dentistry treatments and technology that offer the best results with the least inconvenience to you. Isn’t that the kind of dentistry you’ve been looking for? 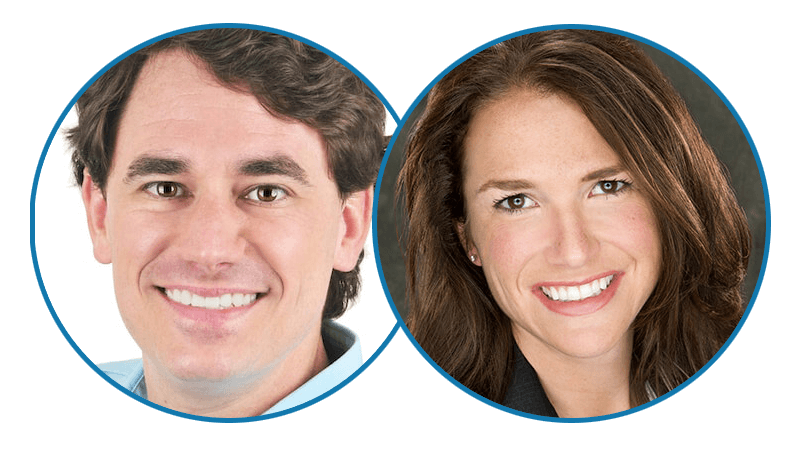 Exceptional dentistry – As Fellows of the Academy of General Dentistry, you can trust Dr. Dustin and Dr. Liz to use their advanced training and skills to provide safe, effective, and superb results. Patient amenities – Watch TV and snuggle up in your comfy neck pillow. We think you’ll find your teeth whitening experience to be one of the most relaxing dental visits you’ve ever had! I had a patient who hated her front teeth. She was a professional cheerleader, beautiful and in great shape, but she was so self-conscious about her smile. We whitened her teeth and did some very minor cosmetic work, and it really changed her life. She radiated confidence! That season she was chosen as the team's pro-bowl cheerleader, and I think a lot of that came from how confident she became. Dr. Elizabeth Kidder, teeth whitening expert for Baton Rouge. Give your self-confidence a boost and have a camera-ready smile by whitening your teeth before a big event such as a wedding, graduation, or reunion. You’ll look and feel great! We also recommend doing whitening before any cosmetic dentistry on your front teeth or before any restorative dentistry – implants, crowns, bridges – so your dental restoration will match the color of your teeth at their whitest. Plus, we always recommend patients whiten their teeth while they are in treatment with Invisalign® because the aligners make a perfect whitening tray. Will it make my teeth sensitive? Yes, it probably will make your teeth more sensitive, but this is only temporary. Any sensitivity to hot or cold usually wears off a day or two after finishing your whitening treatment. Teeth whitening is a very safe procedure and well-researched. We can adjust the strength of the whitening gel according to your desired results and any sensitivity. Not at all. It’s fairly inexpensive. An investment in your smile is the best use you can make of your cosmetic budget. We spend a lot of time and money on make-up, hair, and clothes. But your smile is always with you; it’s always on! Having a beautiful smile is also one of the best ways to boost your confidence and often has a positive effect on other areas of your life – work and social. All in all, teeth whitening gives you the most bang for your buck! Will the effects of the teeth whitening last? However, if you have been eating or drinking foods that cause staining such as coffee or wine, you might notice some loss of brightness. Simply use your at-home trays for a quick whitening refresher. One or two treatments with our professional grade gel will restore your smile to its whitest and brightest again. Whiter Smile = More Confidence. What Are You Waiting For? Call us today for an appointment and have a brighter smile in no time!